You'll like what you see. And you'll love how you'll feel. I work very hard for each client to deliver beautiful photographs that can be woven into a memorable wedding story that can be enjoyed for a lifetime. But the true key to a successful experience has nothing to do with the images. The secret is developing a relationship built through trust, clear communication and understanding. These elements allow each interaction to be special. You'll get that feeling because you know everything just feels right. The way it should be. "We loved Steve's photos and working with him! He was extremely easy-going and efficient and put the time and effort forth to get us what we wanted. He has a great creative eye and did an awesome job capturing the night! We loved what he did with the lighting and some of the effects he put on the pictures. We are 100% pleased. An extremely professional, caring, and hardworking photographer with great creative vision." "After looking around for over 20+ photographers without any luck on style or even our price range, we had another photographer that highly reccomended Steve. We met with him and I knew he was the one for us based on his styles of pictures and his package options. He does a beautiful job of mixing the traditional pictures and putting a modern spin on them. I wanted the modern touch on my pictures but also wanted those traditional 'posed pictures'. It was perfect." "We love our wedding photos. Steve has an amazing personality and takes beautiful pictures. He captured amazing moments and details of our special day. The picture quality, lighting, and artistry was outstanding." "Steve was an excellent photographer. He went way above and beyond what we anticipated. The photos were excellent and we have so many great pictures to choose from. He was very professional and very fun! I had tons of compliments from my guests on the photography team. I would not hesitate to hire Steve again or recommend him to my closest friends and family." "We could not have picked a better photographer. He is extremely flexible, responsive, kind, and most of all takes great pictures. If I had to do it all over again, I would definitely choose him again and also listen a little more to him about when to take pictures. The night of our wedding we had the most gorgeous sunset imaginable, and though we did not want to tear away from the wedding Steve knew we would regret it if we didn't get the pics. One of the best decisions we made was hiring him for the photography." "We had a great experience the day of the wedding, all important moments (and more) were captured and we never felt overwhelmed. The final product was beautiful; we are still receiving compliments on our wedding photos. If I had to do it all over again, I will hire Steve in a heartbeat, no hesitation." "We felt very comfortable around him and had a lot of fun taking the pictures. His pictures are beautiful. The pictures completely captured the entire event. I was very happy with all of my pictures. I would highly recommend him." "Steve was awesome. He did our engagement and wedding photos. He was very patient, caring, and attentive with us. He really went out of his way to ensure we would have great memories for years to come. I would definitely recommend him." "Throughout our engagement and wedding day pictures, we not only got amazing pictures that really captured all of our special days but as importantly, they captured those moments without being intrusive or making us feel like we were being followed by paparazzi. This resulted in us fully enjoying our day and resulted in much more natural photos." "Steve was such a pleasure to work- before, after, and during our engagement/wedding shoot. He is creative, dependable, and laid back, which fit me and my husband well. The day of our wedding, Steve showed up an hour before we had scheduled him to arrive. 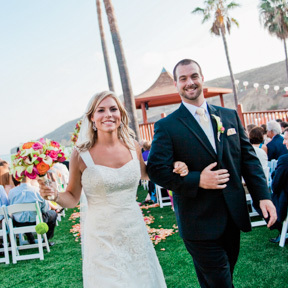 He accommodated all of our requests, and helped us with all of our needs after the wedding." "Steve did an amazing job for us during the entire wedding process. We were extremely pleased with the quality and quantity of our engagement pictures and he was a pleasure to have around all day during the wedding. It's so important to have a photographer you enjoy because they will be one of the few vendors who are with you throughout the entire wedding"
"Steve is an absolute professional. The time he spent with us was super fun, he is full of great ideas, and has a great eye for special shots. He made my wife feel super calm on her day, and he documented every detail of the wedding. It's been almost 4 years since the wedding, and every time I show the photos to any friend, I relive the whole thing. Great photographer and friend." "Our pictures came out beautiful. Steve was professional and excellent at capturing our most important event. He is very pleasant and artistic, and easy to work with. I was very pleased with the service and overall its worth it. I love how he is organized and knows every detail to capture."